Winner will be contacted and their name posted later today. Thank you to everyone who entered and became a follower. 2. Please leave either your email address or a link to your Goodreads profile so I may get in contact with you to get your mailing address or verify your email address. No P.O. Boxes, please. If uncomfortable about giving out such information on my blog, please feel free to email me your information at seducedbyabook@gmail.com. Winner will be randomly chosen. Gift Card will be emailed from me or Amazon (not sure how Amazon handles it, but will figure it out). Books, if you live outside the US, will be sent directly from The Book Depository. 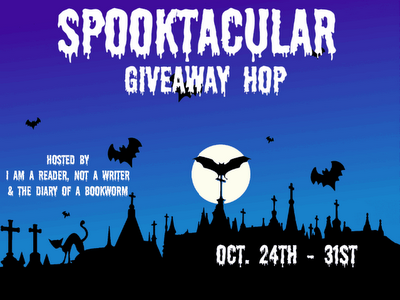 Giveaway ends October 31st, midnight eastern time. Winner will be posted on my blog and notified by email or message posted to them via Goodreads. Winners will have 48 hours to respond before another winner will be selected. Good Luck! Following via GFC as Rea. Yeah!!! lisapeters at yahoo dot com lisa GFC thanks Happy Halloween .... BOO! 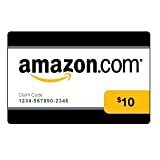 I love gift cards, thanks for a chance to win. A very awesome giveaway that makes me want this more. New follower. Come visit me over at Livre De Amour-Books of Love. Tanks for making this giveaway an International one! Happy Halloween! :) I'm following via GFC as Jasmine1485. Thank you for this giveaway! I'm a GFC follower as pinkflower. Thank you for the giveaway and Happy Halloween! Happy Halloween and thanks for the giveaway!! Hello, I'm a follower. Thanks for the giveaway. Thank you so much for the giveaway. I am a US resident. Thanks for the giveaway and participating in the blog hop! I'm enjoying wandering around the hop,thanks for the giveaway. I'm hopping through the giveaway, thanks so much for the contest! I am a new follower, and it looks like we like a lot of the same books :) I love finding new blogger friends! Thank you for the giveaway and for making it international. I am a GFC follower of your blog. Thank you for this giveaway! Thanks for the chance to win! :D Happy Halloween! Happy Halloween! And thanks for the giveaway. Hello, GFC follower Ceri Kay. Email cerievans[at]gmail[dot]com. Thanks! YEAY! Great giveaway!!! I am a follower! 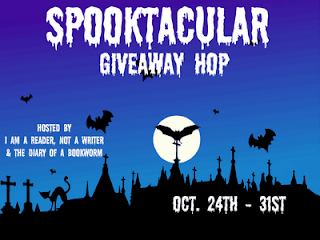 thanks for the spooky book hop giveaway. Happy Halloween! Thanks for the giveaway! THANKS for the great giveaway! Love picking my own books. I'm a new GFC follower. Thanks for being a part of the hop. I hope that you have a happy Halloween! Thanks for the Giveaway - I like your site. From the UK! All good! <3 Thanks for the giveaway. Thanks for the awesome giveaway. :) Happy Halloween!